Oppositional defiant disorder (ODD) is a psychiatric disorder that typically emerges in childhood and can last throughout adulthood. Children with ODD display behaviors that are challenging for parents and educators. For example, they demonstrate aggression and purposeful misbehavior. They usually have difficulty interacting appropriately with peers and adults. The frequency and severity of their behavior problems cause difficulty at home and at school. These children often suffer from learning problems related to their behavior. Being argumentative and defiant is a common problem in these children. Children with persistent, severe symptoms may possibly have ODD and should be evaluated by a pediatric psychiatrist. It is unclear what causes ODD. However, a combination of child temperament and parents' coping responses may be a factor in its development. Difficulties in family functioning may contribute as well. It is important that intervention begin as early as possible with these children. Treatment often involves counseling and therapy. Parent training in behavior management can be helpful. 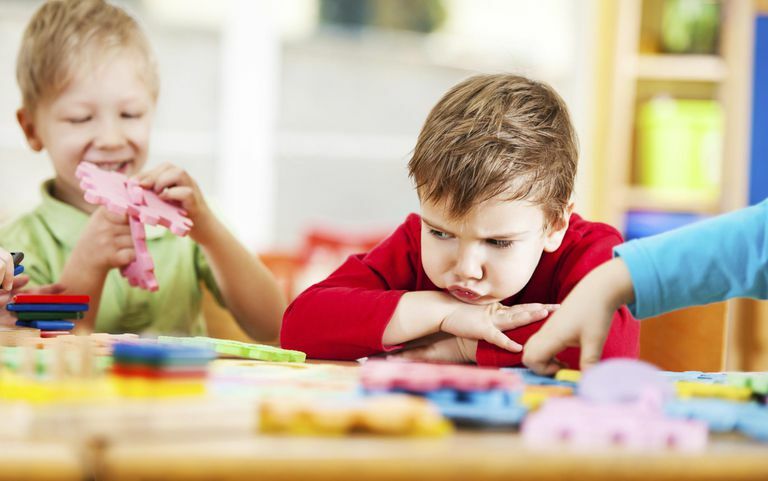 It will be important for the child's therapist to work closely with parents and teachers to ensure the effectiveness of a treatment program because behavior techniques that work with most children may be ineffective with children who have ODD. Children with ODD often have a goal of annoying parents and teachers and will misbehave to provoke a negative response. It is especially important to set clear expectations rules and to apply them consistently. Having a routine can help ODD children cope with activities at home such as transitioning from dinner to homework to bedtime. Applying rules and following routines consistently and fairly are important for that reason. Reinforce and reward positive behaviors. When attempting to change behavior problems, focus on the most important behavior problems first, addressing only a few at a time. As you see improvement in those behaviors, add new ones for focus for improvement. Set clear age-appropriate consequences for misbehavior, and apply them consistently. Give directions in clear, simple language. If the child responds to behavior management systems, use stickers, tokens, or a behavior chart to show progress toward behavior goals. Allow the child to identify rewards he would like to earn. As the child demonstrates success, offer reinforcement such as spending time in a preferred activity, verbal praise, edible rewards, or items from a prize box. If the child has the tendency to do the opposite of what you want him to do, avoid giving direct praise that could result in misbehavior. For example, saying, "I like the way you're keeping your hands to yourself," could provoke the child to become physically aggressive. Avoid arguing or lecturing the child, and try to keep your own temper under control. Avoid letting the child see you become angry, as this may be rewarding to her. Using a matter-of-fact tone of voice without emotion, simply state the rule that was broken and what the consequences will be. Be consistent and avoid getting into a verbal argument with the child over consequences or what happened. Allow the child to have a place to vent his frustrations. Provide a pillow to punch or to yell into. When the child interacts with others, make sure there is adequate supervision to ensure that rules can be enforced, and adults can help him interact appropriately. It can be helpful to have the school's counselor to work with peers to help them learn to respond appropriately to the child's behaviors. Formal social skills training can be effective in helping the child with ODD to interact with peers and adults. Can Children Recover From Oppositional Defiant Disorder? The prognosis for recovery from ODD is unclear. Some children will mature and symptoms of the disorder will subside into adulthood. Others will carry the disorder into adulthood. Meeting the complex needs of these children will require the cooperation of parents and school personnel as well as mental health professionals. A cooperative, consistent effort at home and school will improve the likelihood of a positive outcome for these children, especially when intervention begins at an early age.